New Citroën C3 has been awarded the title ‘Best Urbanite’ in BBC TopGear Magazine’s latest ‘Best Cars in the World’ issue, which is on sale now. The BBC TopGear judges were impressed by the model’s ‘fashionable’ looks and ‘calming’ interior that makes it perfect for city life. 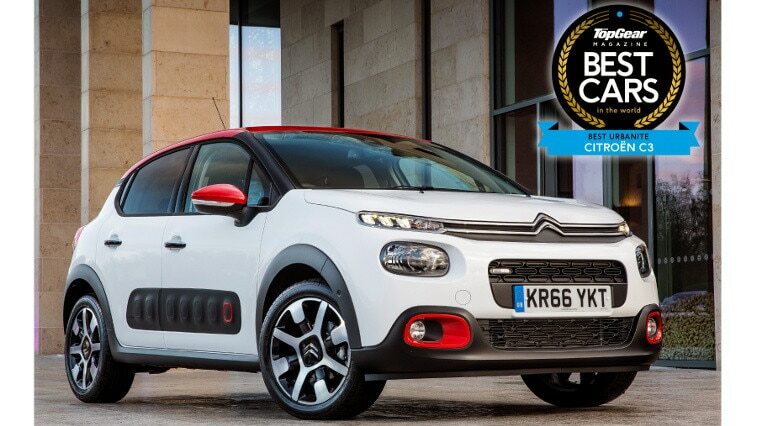 Commended for its striking appearance and personalisation options, New Citroën C3 won over the BBC TopGear Magazine judges thanks to its levels of comfort, advanced technologies and its ability to ‘pirouette’ in and out of tight urban spaces. The fun, French supermini premieres the world’s first fully integrated HD dashcam, which is located just behind the rear-view mirror. ConnectedCAM Citroën™ enables the driver to safely take pictures, record videos and to share them instantly on social media channels, or to use the automatic video function to provide evidence in the event of an accident. New Citroën C3 is the latest model to benefit from the Citroën Advanced Comfort® programme. The visibly comfortable seats, the amount of light from the panoramic glass sunroof, the 7-inch touchscreen – which groups together all of the key vehicle functions – and the keyless entry and start system, all combine to emphasise a feeling of reassurance, comfort and well-being. 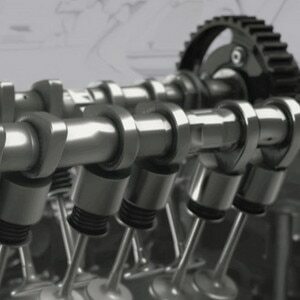 As well as offering an extensive and coherent range of personalisation options. and two-tone exterior colour schemes, the Airbump® panels are an instantly recognisable option. New Citroën C3 is also fitted with a choice of efficient powertrains, offering both award-winning PureTech petrol engines and exceptionally economical BlueHDi diesel engines. “The city is where we’re seen. So we want a car that dresses us well, and has some sense of place. This little Citroën is right for town. It’s modern – modish, even, in its details – but because of its simplicity and balanced proportions, it’s probably timeless too.” Paul Horrell, BBC Top Gear Magazine.